Stock market today, June 17, 2014: The Dow Jones Industrial Average rose marginally on Tuesday despite a swath of disappointing data, including higher inflation and poor housing numbers. The fourth Federal Open Market Committee (FOMC) meeting of 2014 began this morning, though few clues about rate hikes or tapering will be seen until tomorrow morning. Another Big Deal: Shares of Micros Systems Inc. (Nasdaq: MCRS) surged more than 17% on news that Oracle Corp. (Nasdaq: ORCL) is close to purchasing the company for at least $5 billion. 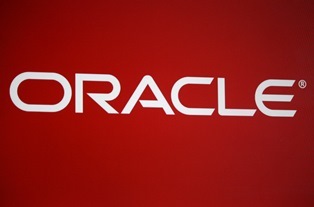 Bloomberg reports that Oracle's interest in the software and services provider for the hospitality industry drove the stock to $67.90 per share. Exclusive Offer on Tap: The Wall Street Journal reports that AT&T Inc. (NYSE: T) has an exclusive deal to carry Amazon.com Inc.'s (Nasdaq: AMZN) smartphone, which many analysts expect will launch tomorrow. Though the launch of the smartphone hasn't been formally announced, Amazon's Chief Executive Officer Jeff Bezos will be making an "important announcement" during a company event tomorrow. AT&T currently offers wireless service to Amazon's Kindle tablets. Find out more here about how the Amazon.com phone is going to be a huge sales drive for the company. HFT Hearing in Play: Shares of E-Trade Financial Corp. (Nasdaq: ETFC) and Charles Schwab Corp. (Nasdaq: SCHW) soared 8.5% and 5.6% respectively on Tuesday after the U.S. Senate kicked off an investigation into the impact of high-frequency trading on the global markets. Shipping Shakeup: In a move to play catch-up against its rivals, United Parcel Service (NYSE: UPS) announced plans to set shipping rates on all U.S. ground packages based on package size. The announcement comes after rival FedEx Corp. (NYSE: FDX) made known similar intentions. Electric Feel: Shares of Tesla Motors Co. (Nasdaq: TSLA) jumped more than 4% on news that the company is exploring charging stations and global charging standards for electric vehicles. The company would partner with both Nissan Motor Co. and BMW AG on the project. TSLA shares are up more than 12% this week – investors looking to cash in on this highflier can learn more about its long-term potential here. Merger Mania: Shares of Boston Scientific Corp. (NYSE: BSX) fell by 3% on news that its rival Medtronic Inc. (NYSE: MDT) would purchase Covidien Plc. (NYSE: COV) for approximately $43 billion. The deal is expected to increase the pace of M&A activity in the medical device sector.